WITH drought, fire and floods ravaging the rural sector, the annual income of an individual farmer can vary significantly from year to year. In an effort to take some of the pain out of inconsistent cashflows, the Federal Government introduced Farm Management Deposits (FMDs). They are used to help farmers ease their tax burden and free up funds for when they’re needed most by deferring income from a good year to a future financial year of lower cash flow. So, are FMDs friend or foe? Like all agricultural taxation incentives, it’s important to understand the conditions imposed and how best to make them work for you to obtain maximum tax minimisation. 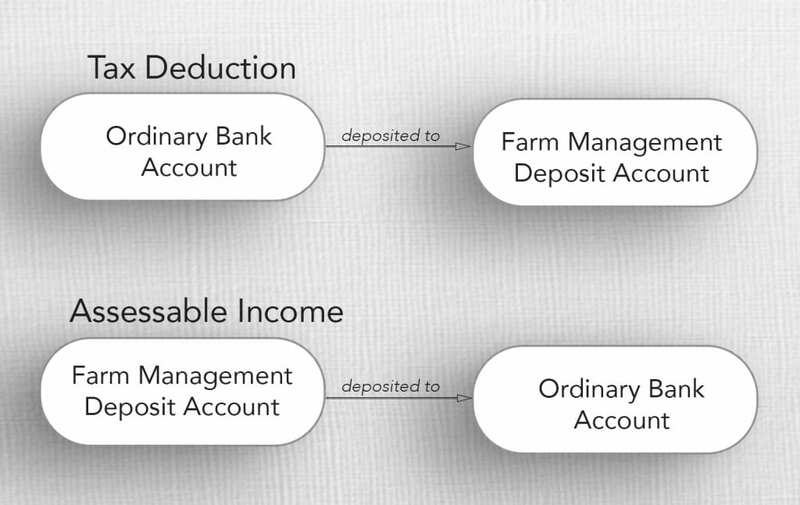 Farmers can deposit money into the FMD account, which is a commercial product offered by financial institutions. The money can then be held in the account until it is required to be used in the business. To take advantage of the FMD incentive, applicants must be an individual primary producer. That means money can only be deposited into an FMD in an individual farmer’s name, however note this is inclusive of partners within partnerships or entitled beneficiaries of trusts deriving primary production income. FDM funds cannot be jointly deposited by two or more people or made on behalf of two or more people. The only exemption to this aspect is that trustees can deposit funds on behalf of entitled beneficiaries with a legal impairment such as a minor. 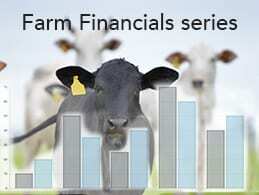 FMDs cannot be deposited by a farm company, partnership or trust in their own right. When claiming an FMD, the deposit amount is an important consideration. To make an FMD, the individual must have less than $100,000 in non-primary production income and cannot hold more than a total of $800,000 in FMDs per individual. If an individual had a taxable primary production income of $100,000 and cash in the bank of $200,000, the maximum deductable amount of FMDs would be limited to the $100,000. That means there would be no tax advantage of depositing more than the $100,000 taxable income limit. It is also worth noting that FMDs must be held in the account for more than 12 months and cannot be retrospectively claimed. FMDs are only considered tax deductable in the financial year the deposit is made, so all claims must be put in prior to June 30 on any given year. If one of the above exemptions is met, the deduction is allowed within the 12-month window, and the withdrawal of the funds is considered assessable income. One of the most commonly used exemptions is from farmer’s who have ceased to carry on their primary production business for 120 days or more. When this is the case, holding FMD is no longer allowed and they must be withdrawn as assessable income. This is important to remember when considering restructuring or succession planning, as existing FMDs may not be allowed to continue and could result in all current FMDs being withdrawn and subsequently assessable. Also important to consider is the use of FMDs in conjunction with working capital. As previously mentioned, the FMD has to be held for 12 months to receive the deduction, therefore the business will need to function without that cash available if an FMD is made. The account being offset (the debt or loan) relates wholly to their primary production business. The above offset facility offers a potential benefit; however, you may have to shop around as not all financial institutions offer this facility. For those looking to utilise an FMD, it’s important to look at the big picture with your trusted advisor so you can weigh up all of the options before locking yourself in. More information about the Farm Management Deposits Scheme is available here from the Australian Government’s Department of Agriculture and Water Resources website. Clancy Cox is a fourth-generation cattle farmer from the Cox and Atkinson lineages. His great-grandfather Monty Atkinson was instrumental in developing the droughtmaster herd which is still incorporated in the family operation today. 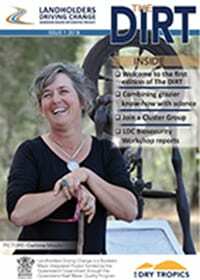 Clancy was born and raised on “Glensfield Station,” a cattle station 45km west of Mackay. The family operation runs 10,000 head of cattle for breeding and fattening across three properties. 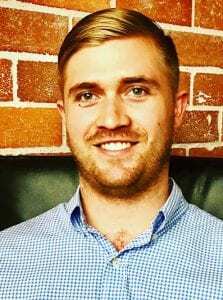 Clancy has a unique understanding of the agribusiness sector, combining his involvement in the family operation with skills he has developed as a Senior Accountant at PVW Partners. Clancy is passionate about growing regional Australia. Information provided in the article is of a general nature and is intended for informative purposes only. It does not take into account personal financial circumstances. Tailored professional advice should be sought before acting on any of the information contained above.